These are going to be on my list for next year, do they smell as good as they look? Oh well sometimes you cant have it all.!! They really are gorgeous Spritz...love the pleated trumpet! They have double or triple heads, too - they are much more 'elegant' than some of the larger ones. MMMM i do believe i have this one Spritz - or something very simular, and yes i do agree, a really lovely variety. Another beauty, I love to have a field full of these ! On my wish list for the Autumn............multi headed and dainty...love them! 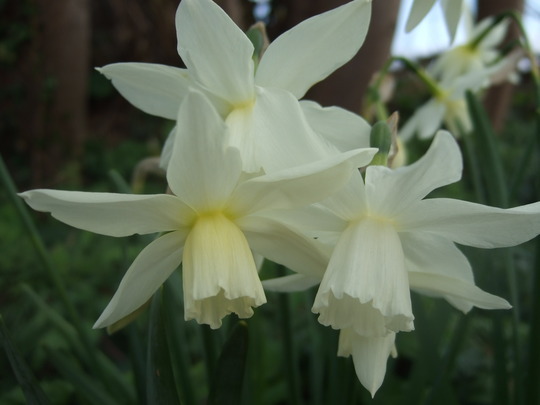 This photo is of species Narcissus 'Thalia'.